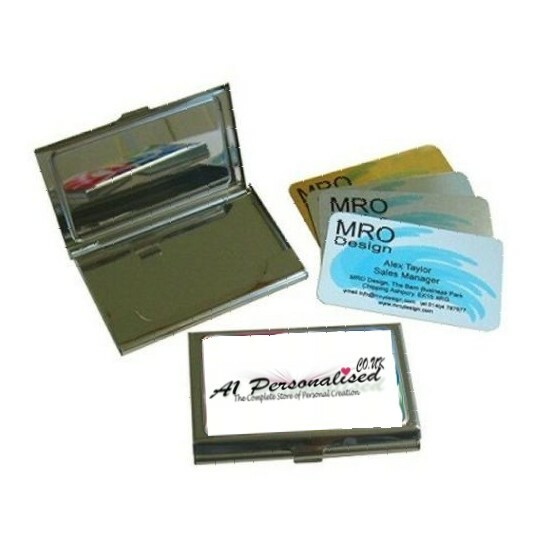 Personalised Full Colour Printed Business Card Holder. The case is silver with a customisable area that measures 8 x 4.5 cm. Personalise with your company business logo and text. A great professional way to promote your business. We have a standard selection of fonts to choose from but if you have a font specific to your company logo please let us know in the Comments section at the end of the checkout process.